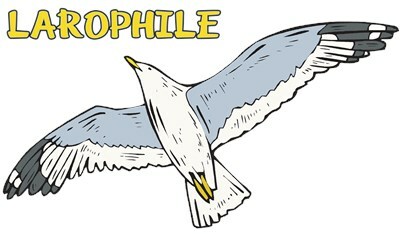 A larophile is someone that loves gulls. Note I did not write "seagulls" because there is no species of bird called a "seagull." If you were a larophile, you'd know that. 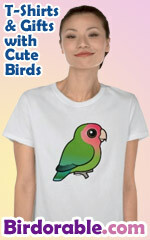 You'd also know what species the illustrated bird in this design might be, and probably how old it is too. The designer is no larophile, so you're really on your own (just how you like it). To order by phone, call toll-free at 1-877-809-1659 from Monday - Saturday 9:00am - 9:00pm EST. You'll need to note the Product Number 030-1317703316 to make your order.